Cell Phone Mirror. 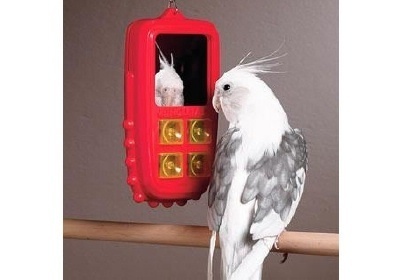 Phone Bird. . Wallpaper and background images in the Domestic Animals club tagged: domestic animals pets birds..
Keyword: domestic, animals, pets, birds. This Domestic Animals photo contains cockateel, cockatiel, cockatoo parrot, and nymphicus hollandicus. There might also be peregrine, peregrine falcon, falco peregrinus, homing pigeon, homer, and carrier pigeon.